Rapper Big Boi performs during the 2011 Governors Ball music festival on Governors Island on June 18, 2011. Just days after dropping his critically acclaimed Sir Lucious Left Foot: The Son of Chico Dusty last year, Atlanta rapper Big Boi began working on his followup solo album: Daddy Fat Sax: Soul Funk Crusader. And the producer MC told Junior Online he could release the album "tomorrow" if he wanted, with 17 tracks already in the can. Among cameos on the new disc, which he hopes to have out by the end of the year, is the expected Janelle Monae appearance (she kind of owes him one). And while an official Outkast track hasn't been released in the better part of five years, Big Boi tells Rolling Stone collaborations between he and Andre 3000 are more imminent than ever. Andre 3000 produced one track on Big Boi's last LP. But label conflicts have kept the monster-platinum Atlanta rap duo from doing anything substantial as Outkast since the release of Idlewild in 2006. 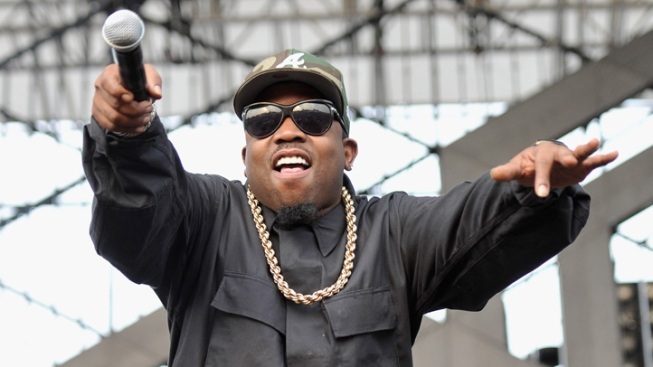 Big Boi tells Rolling Stone A recent label executive jump in Hollywood has cleared some roadblocks that prohibited the group from working together. This includes the release of "Lookin' for Ya," a track the two couldn't put on Sir Luscious Left Foot. To expect next? Andre's solo album, and then the official album reunion of Atlanta's most stylish and odd duo.